Originally formed as Haynes Coachworks in 2000. 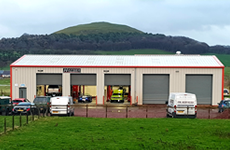 We are proud to offer a full range of vehicle services, 6 days a week, from our brand new, purpose-built premises in Thankerton, Lanarkshire. 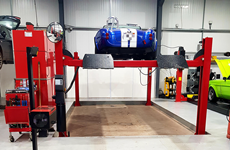 We have introduced a brand new MOT station suitable for motorbikes, cars and light commercial vehicles. We also have a new body repair facility with separate repair area and a high quality spray oven. 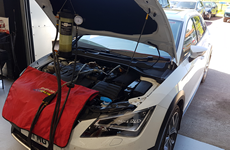 We also offer diagnostic and body work repairs, accident repairs, full mechanical support plus classic and motor sport repairs including bodywork restoration and modifications. 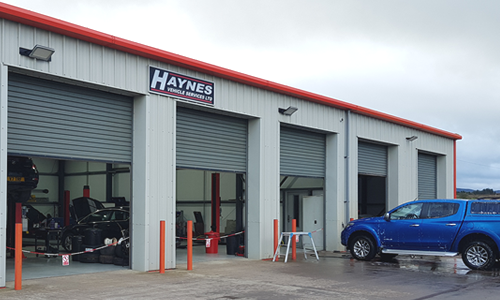 Haynes Vehicle Services featured in full-length article in June 2013 edition of Motor Trade Matters, the magazine of the Scottish Motor Trade Association.